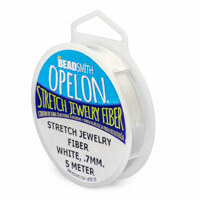 Opelon Bead Cord is a flat, strong, fibrous cord which does not require Crimps. 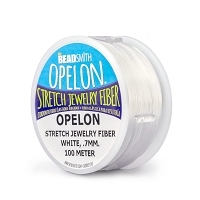 Just add your favorite Beads, and tie the two ends of the Opelon Bead Cord together, and you're done! No Crimps needed! 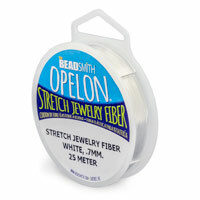 Or, tie Opelon directly to a Clasp to create instant Bracelets.